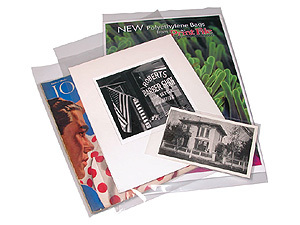 4 mil 16x20 polyethylene bags provide protection for matted or unmatted images. 2" flap. No PVC, safe for long term storage. Ideal for digital prints. These 4 mil polyethylene bags offer protection for matted or un-matted 16x20 images (not self sealing).